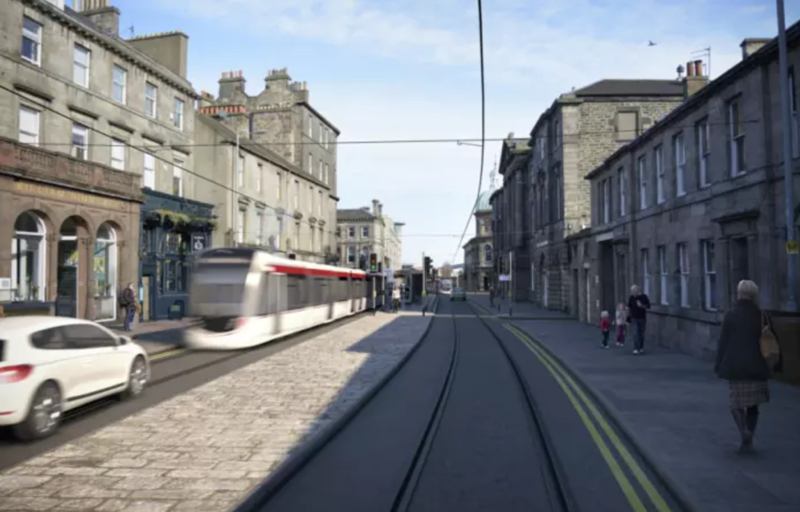 The cost of extending the Edinburgh tram service to Newhaven has risen by 25%, raising concerns that the final bill will once again spiral out of control. Council officials have admitted the cost of taking the line from York Place and through Leith has risen from £165 million to £207m even before a final decision has been taken to go ahead. City councillors were today examining the confidential final business case before the full council decides on 14 March whether or not to approve the extension. Work on the 2.8 mile extension is scheduled for completion in 2022 with the first trams operating in the first quarter of 2023. In the first year of operation, the council predicts 16 million passengers will use the line. The York Place stop would be moved to the new interchange at Picardy Place. The council insists it can be built within a budget of £196m, but councillors will be asked to approve an overall budget of £207.3m to include a recommended 6% level of “optimism bias” to take account of an increased risk buffer for any problems encountered. However, residents and business owners will be concerned that the current programme already has echoes of the debacle around the original line which was shortened, opened three years late in 2014 and was massively over budget. The cost of the inquiry into the handling of the tram project is expected to rise above £10m. “All councillors will be taking the opportunity to examine in detail the final business case and associated documents in detail so that we can collectively make as informed a decision as possible come 14 March. The council says it has leaned lessons from the first phase in the way the second phase would be built.